The planet is going to witness a rare celestial event in January 2019, as a supermoon will coincide with a total lunar eclipse, also known as the blood moon. It should be noted that the last blood moon happened on July 27, 2018, and after the upcoming blood moon in 2019, there will not be another one until 2021. Total lunar eclipses(blood moon) happen when the earth is directly between the sun and the moon. 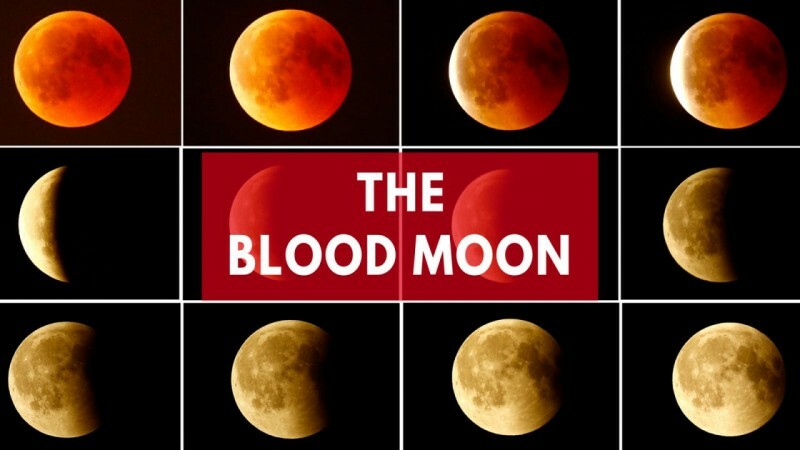 During this event, the moon stays in the shadow of the earth, and it will appear in bright red color while viewed from the earth. On the other hand, this total lunar eclipse will be also a supermoon, which means the natural satellite will have its closest approach to earth also known as perigee. In short, the upcoming celestial event will be actually a super blood moon. Is super moon a sign of the apocalypse? In the meantime, a section of doomsday believers has started arguing that the upcoming celestial event is an indication of an impending apocalypse. As per these conspiracy theorists, the upcoming super blood moon is actually fulfilling biblical prophecies. Even though the predictions made by these conspiracy theorists are going viral on the internet, there is no such term as 'Blood Moon' in the Bible. However, there are many references in the Bible where the moon turns blood red before doomsday. In the King James version of the Bible, Book of Joel Chapter 2, it is predicted that natural disasters will be triggered in all nooks of the planet when the sun and the moon turn dark. However, experts made it clear that the red color of the moon has nothing to do with an apocalypse. As per these space scientists, it is a phenomenon called refraction which is resulting in the blood red color of the moon. "During a total lunar eclipse, the Moon usually turns a deep, dark red because it is illuminated by light that has passed through the Earth's atmosphere and has been bent back towards the Moon by refraction. Dust in the atmosphere blocks out the higher frequency blue light waves, but the longer wavelength of red light comes through," the U.K.'s Royal Museums Greenwich explains, Newsweek reports. Since dust in the atmosphere blocks out the higher frequency blue light waves, only the longer wavelength of red light comes through.